Having run out of options to get financial recompense from FedEx, BikeFlights.com, and USAA to replace my S-Works frame, I’ve sent Specialized the following letter. I don’t expect it to make any difference, but it can’t hurt. My name is Katie Ferguson. This June my family splurged on an S-Works Tarmac disc to replace my 2015 Cannondale SuperSix Evo. The full-price S-Works was a huge financial stretch for us, but worth every penny. The crisp responsiveness, zippy power transfer, and incredible lightness combined with the unbelievable comfort made it a joy to ride, by far the most wonderful bike I’ve ridden in my almost 15 years of cycling. I told my friends that it offered all the benefits of the best race bike combined with the comfort of my long-time commuter bike. I named it Swift, after the bird. 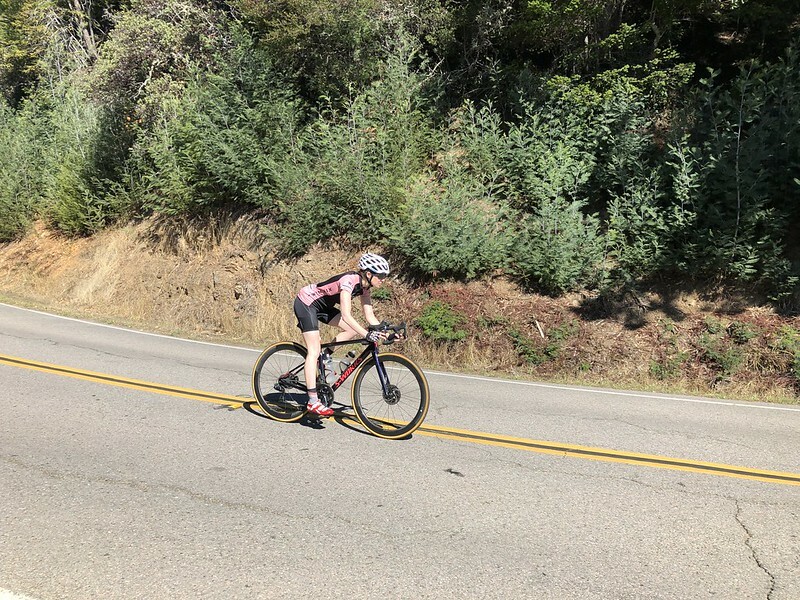 On it, I trained for and rode the Levi’s Gran Fondo in October, finishing 7th of the women who did the full 117-mile/11,000-ft Growler route. As a Seattle-area native, I reveled in the glories of riding in Northern California, a new and delightful experience for me. The beauty and challenge combined with the pleasure of riding my S-Works made it some of the best riding of my years on the bike. On the shipment back to Seattle from Levi’s, FedEx crushed the frame of my S-Works. I’d had it professionally boxed in a hard-sided Thule case, but that didn’t matter; my frame was totaled. And I had opted out of insurance, trusting my case to protect the bike. When I filed a claim, FedEx and BikeFlights.comeach sent me a check for $100. The only silver lining was that only the frame sustained damage; all the components, including the wheels, appeared to come through unscathed. I’d ridden the S-Works a mere 2,000 miles before it was destroyed. Since then, my family has saved to pay to replace the frame. 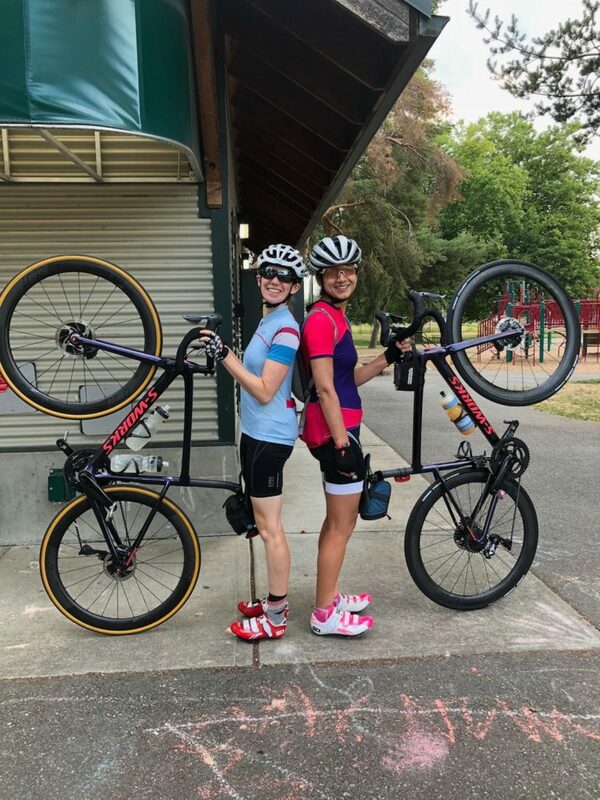 While my local bike shop, Woodinville Bicycle, has generously offered me 30% off a frame replacement, I’ll be honest: We can’t easily afford to buy and build up the same bike again. I’ve also been waiting for the new color schemes to come out, so I can obtain another bike as beautiful as my destroyed bike. 1. Can you please let me know when to expect the new colorways? I’ve been waiting since October for some size 49 S-Works disc ladies’ frame choices that aren’t red and white. 2. Would Specialized be interested in helping me replace my frame at a lower cost than my bike shop can offer? I know you are cyclists, too, and that means you can imagine the anguish and sorrow I experienced at finding my beautiful, beloved, brand-new frame destroyed in shipping — with no financial recourse from the shippers or our insurance company. You say that believe that bicycles have the power to change lives, and it’s true. Now you have the opportunity to help change my life directly, to change this story from a tragedy into a romance, where the beloved and its lover get back together after so many travails. I look forward to hearing from you, and to the day when my rebuilt S-Works and I can be reunited once more.